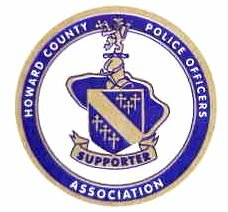 By entering this site, you expressly agree to honor all United States Federal, State, Local and governmental laws regarding the possession of police badges. This site is for collectors of Police badges, Fire badges, and other law enforcement memorabilia. Should you purchase police badges or any other item, let it be understood that neither Collectors-Badges.com, Executive Resources Group or any employee, affiliate or associate thereof, did facilitate nor recommend such purchase. All buyers agree that such item(s) will be used as a memento; in a collection for exhibit; for decorative purposes or dramatic presentation and not for the purpose of identification of any law enforcement personnel having police powers or authority. You may only enter this site if you agree to these terms and those outlined under the "User Agreement" tab above. NOTE: We will NOT ship New York police badges to the State of New York or Texas Ranger badges to the State of Texas unless you provide documentation as an active duty law enforcement officer or a department shipping destination. You MUST read the USER AGREEMENT and REGISTER with us before we will process any orders for you. Verification of registration information is taken very seriously. If you do not complete all of the required fields on your registration application we will not bother to read it. If you place an order and do not receive it....either you did not register or you failed to read the email we sent you stating that your registration was rejected! All police badges are authentic except for those displayed on the "Seconds & Repros" and "Gode" pages. If we are unsure as to the authenticity of any police badges, then they are listed on the "Seconds & Repros" page. If you are a LEO (law enforcement officer) and would like us to display a picture of your department cruiser on our "Cruiser" page, email us a gif or jpg photo along with your name, rank & department (Only the cruiser will be displayed). Please take the photograph with as white of a background behind the cruiser as possible. We can now have custom badges produced for your Department . If you are in charge of your departments procurements or you are an active duty police officer and are in need of a badge you may contact us by email or telephone with your requirements. All badges referencing law enforcement or security agencies, entity name or rank must be accompanied by official authorization in the form of a written and signed authorization on your official letterhead in addition to a copy of your official picture identification card (where allowed by law). No order will be processed until we receive proper authorization. You can email it to us at badgemaster@collectors-badges.com or via regular mail to: Executive Resources Group, ATTN: BadgeMaster, 5385 Broadwater Lane, Clarksville, MD 21029-1119. We will keep your authorization letter on file so you will not need to send it again.